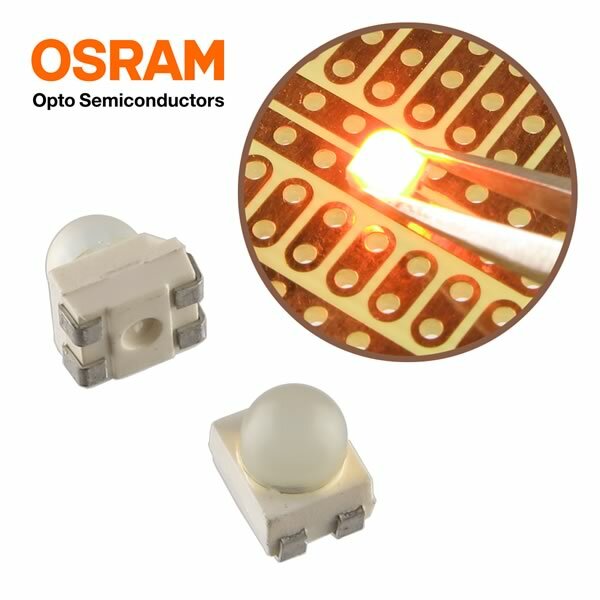 Ultra bright blinding yellow SMD LED features see-through clear dome. Has 4 pads on bottom (1 anode & 3 cathodes). Operates on 2.2V @ 50mA and produces a bright 587mm yellow that can be seen outside in daylight (4500 - 5600 Lux). These were made for use in traffic lights, outdoor advertising signs etc. Size 3.5mm x 2.8mm. Sold in a package of 25. Package retails for $9.